Search engines are the number one way people find businesses nowadays, it is probably how you found us. Isn’t it important for your SEO company to be found? Of course it is, why would you trust someone who can’t even get their own site found on page 1 of Google. If your insurance company doesn’t show up in the results when someone performs and industry related search you’re going to be hard-pressed to attract new customers. So, how do you make sure you always show up in the search results? Search engine optimization, or SEO, is a set of techniques used to increase a business’ Google rankings and help them get found online. Just like every other business, you need to make SEO is part of your insurance marketing plan if you want to maximize your online presence. Every industry is different and presents its own set of problems. Wouldn’t you rather work with a company who has experience and a proven track record with helping insurance businesses just like yours? Our clients have thousands of Google page one rankings. Russell’s Group has a long history of working on SEO for insurance agents. We’ve worked with some of the largest insurance companies in the country and utilize a wide array of techniques that have consistently delivered great results for our clients. 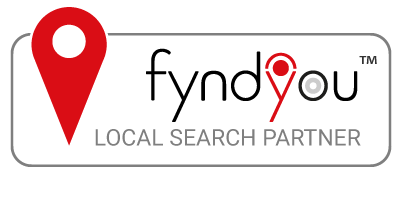 Local search refers to search results based on your location. When someone searches “insurance” they get a list of insurance businesses located near them. If your business isn’t showing up in local search results, chances are you’re not got to be found. Our team are insurance SEO experts and know how to find keywords that will bring you the most traffic. Once we determine what keywords your business needs to rank for we’ll start helping you develop content around those keywords. This includes blogs, articles, and website content that will not only be interesting and informative for your readers, but also SEO-friendly to help you climb up the Google rankings. To supplement your insurance SEO efforts, we can also help you develop effective PPC campaigns. These paid search results ensure you always show up on the first page of searches. When combined with proper SEO you’ll see a massive increase in traffic. We’ll help you develop landing pages for your campaigns that actually convert, so the money you invest in campaigns always leads to a positive ROI. The ultimate goal of any insurance marketing initiative is to create more leads and sales, and that’s exactly what our SEO work does. With an increased amount of web traffic heading to your website, and optimized content that both informs and converts, you’re sure to see an uptick in sales and revenue. Are You Ready to Start Developing Your Insurance SEO Plan? Are you sick of getting left behind by your competitors? Get in touch with us to start developing an insurance SEO plan that will increase your online visibility and generate new revenue for your business. Call 502-222-8099 or fill in the contact form to get started.